U.S. 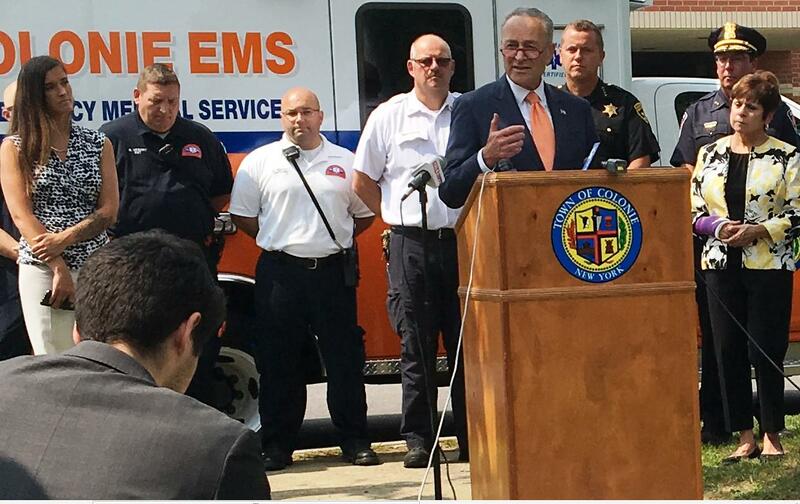 Senator Chuck Schumer was in our region today to promote the Opioid Crisis Response Act. Schumer’s bill includes tools to treat patients who have overdosed and grants to protect first responders from incidental exposure to opioids like fentanyl, which can be 100 times more potent than heroin. "It is so deadly, it is so dangerous that a little bit of it on your skin or you inhale it, you can die. And our first responders have to deal with that." Schumer told reporters this is the first time in America that life expectancy has declined. "In 2016 1,392 people died in just upstate New York alone from opioid overdoes, and that was an increase of more than 20 percent. That's three a day. More than three a day. Here in Albany County in the Capital Region we're hardly immune. 111 in 2016 died in the Capital Region. One person every three days or so." Columbia County activist Cortney Lovell is in long-term recovery from addiction. "174 final breaths will exhale today. 174 sets of eyes won't open tomorrow. 174 hearts will stop beating and countless others will shatter around them into a million more pieces. 174 versions of me are going to die today and again tomorrow and every day until we can become willing to address this public health crisis as the emergency that it really is." According to Schumer’s office, the Opioid Crisis Response Act expands a grant program that enables first responders to give Narcan and other opioid-overdose medication to people who have overdosed. The program offers training to first responders on how to stay safe in the presence of fentanyl and other opioids. The second provision requires the U.S. Department of Health and Human Services to release information, and authorizes a grant program, to educate officials on how to best administer treatment after an overdose, how to support and care for patients recovering from an opioid overdose, and how to administer Narcan and similar medication. 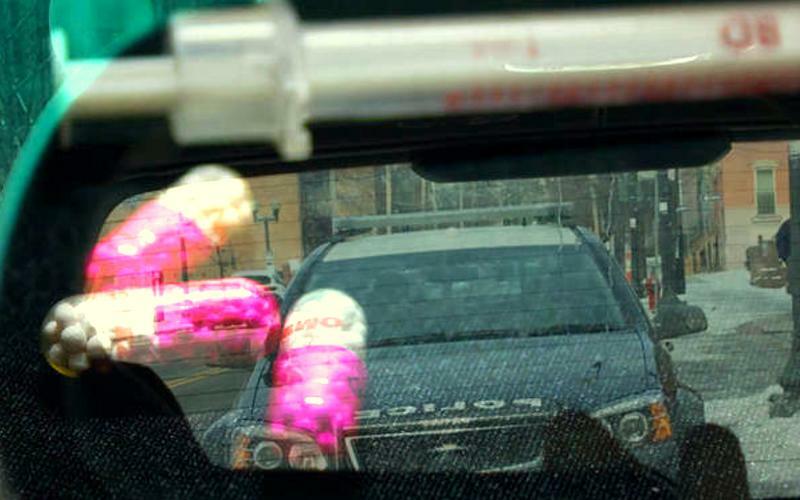 It also authorizes additional funding for first responders to purchase equipment that can screen suspected illicit substances like fentanyl, and prevent exposure to them. Schumer vowed "I'm gonna do as much as I can to pass the Opioid Crisis Response Act. To get $3 billion more, which should be available October 1st, if we pass this bill." Earlier this year, the Siena College Research Institute conducted a four-part poll that took a comprehensive look at the scope of the opioid crisis in New York. Today Siena is out with an addendum. U.S. Senate Minority Leader Chuck Schumer visited a farm in Columbia County today. The Democrat is promoting a bill that would declassify hemp as a Schedule I narcotic. 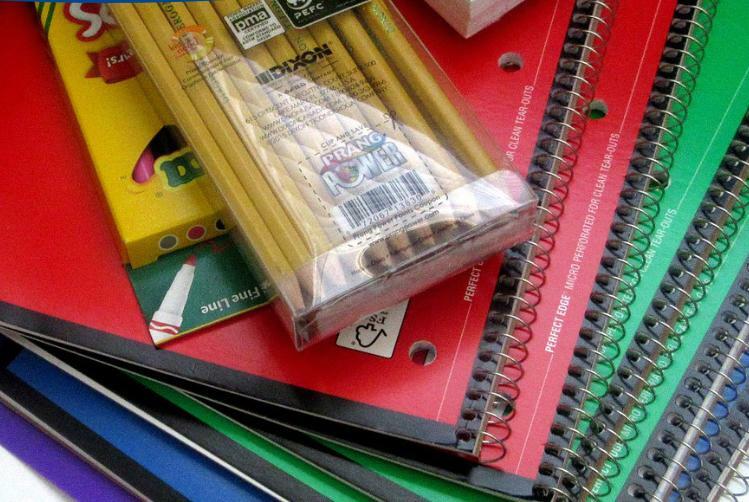 It's back-to-school in a just few days, and U.S. Senate Minority Leader Chuck Schumer is warning that school supplies are laden with dangerous levels of toxic chemicals. Organizations dedicated to the fight against opioid addiction are planning for International Overdose Awareness Day later this month. The Prevention Council of Saratoga County has announced a vigil for Thursday, August 31st at 7 p.m. in Saratoga Springs. The gathering in the Spa City’s Congress Park will come after a free Narcan Training event at the Saratoga Springs Community Library.